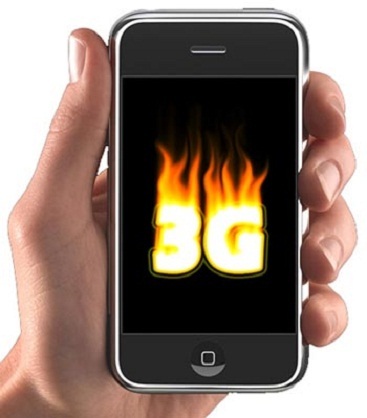 3G which is also called as third generation Mobile telecommunication is very much useful to the mobile users. The following features like downloading songs within seconds, internet surfing can be done with an excellent speed, watching the live TV programs without any buffering, reaching to the unknown destinations using the GPS root map are possible only with this technology. At present, the mobiles the data transfer rate is only 144 kbps in the mobiles which is working with 2G network. Using this network, the customer who wants to download a song which plays for 3 minutes of time takes around 8 minutes for downloading. The same can be done in 3G networks within 15 seconds because its speed is more which is almost equivalent to the speed of the light rays. In a single statement we can conclude that maintaining a lap top is same as the maintain a mobile with 3G network in the pocket. The operators are providing 3G services for prepaid and postpaid customers in different packages. There is a possibility for free downloading of data up to some extent by collecting a fixed fee from the customers. If the free data limit exceeds, then the operator collects the charges which depends on tariff and in return which increases the bill amount. « What is ‘Barriers to Migration’? » What are the facts about South American Giant Short Faced Bear?